p870tm 2nd CPU fan port! Discussion in 'Sager and Clevo' started by tanzmeister, Jan 9, 2018.
p870tm motherboard was actually designed with the 2nd CPU fan in mind, so was the CPU HS! This is what I got out of testing mine right now." Just skimming, tons of info in the owners thread about this. Plus different fans etc. AHMED KARAM, jclausius and Papusan like this. Seems like this kind of info should have a separate thread to be discussed at! AHMED KARAM and tanzmeister like this. yea john posted the pin out info from b4. btw is that how 12v works? if so we'd need to find a 5mm 12v fan first and make sure the wiring is similar otherwise worst case would just be 5v. waiting for the fan to arrive. They never actually shipped KBL-R dev-units with that FAN, so I don't know what exact FAN model they intend to use for CFL...but I am sure if you are searching taobao long enough you'll find it. bennyg, AHMED KARAM, Papusan and 1 other person like this. 4-pin fan, with integrated power driver. 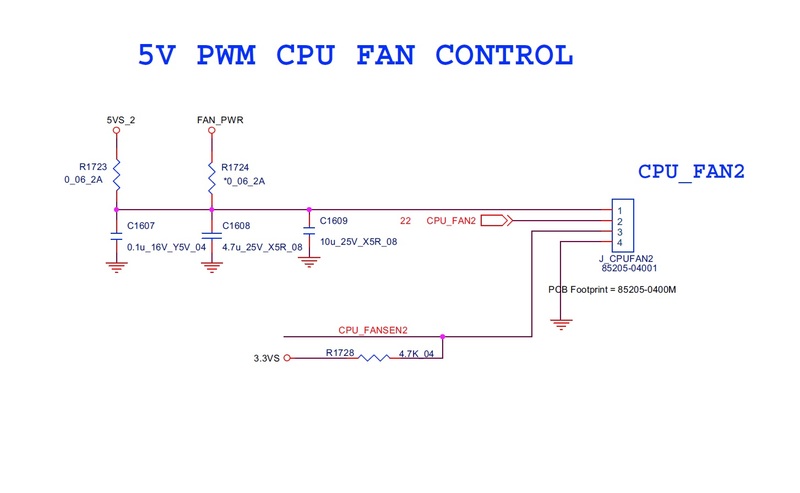 Needs only low-power PWM signal on control pin to RPM controll, or, if left this pin floating, fan will be working on full speed. First, we need to check if this output is enabled in EC. If yes, voltage on pin 2 should change toghether with speed change of main fan. honestly though i wouldnt mind have a fan running on 5v at full speed, noise and temp reduction result will dedicate the final decision, though having more choices to do fan control is better. AHMED KARAM and ole!!! like this.